If you've been thinking about fast, bootable storage, you've read the stories and seen the reviews; SSDs are hot right now. Not only do they offer tremendous performance and easily outperform hard disk drives, they're more reliable, their prices are dropping and you can get more capacity than ever. If you've got an older Mac Pro® or Windows® desktop computer, you could just get a couple of 2.5" SSDs (plus necessary adapters) and install them in some empty drive bays (if there are any) and be done with it—but the 3Gb/s SATA interface in your computer won't support fast 6Gb/s SSDs at full speed. Sonnet engineered a great alternative—Tempo™ SSD Pro Plus. 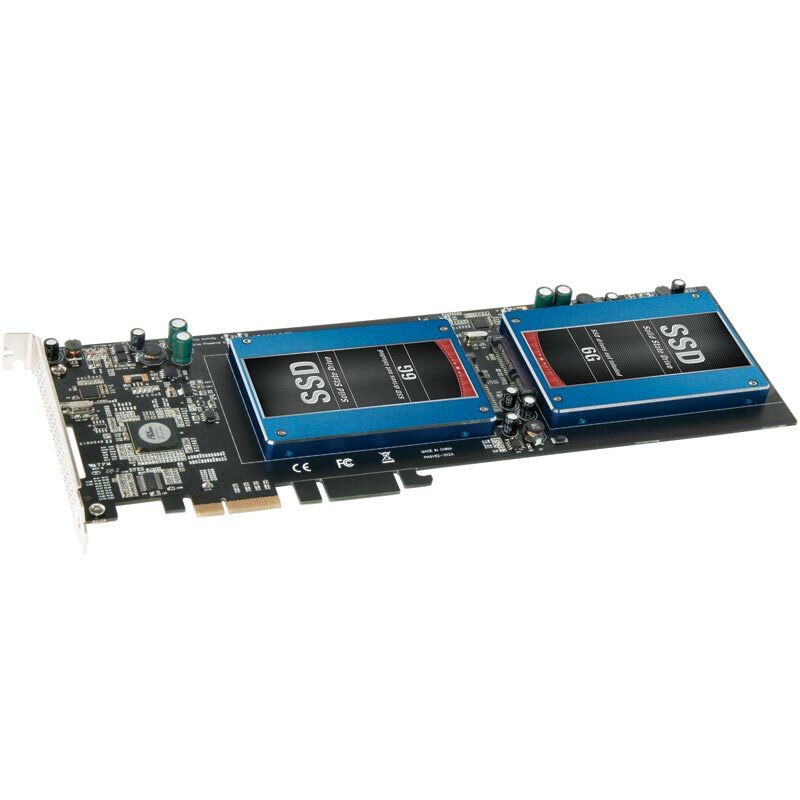 It's a fast 6Gb/s SATA PCI Express adapter card that enables you to attach readily available 2.5" SSDs and install the assembly neatly into a single PCIe slot, no cables or drivers necessary. Unlike other PCI Express SSD cards that rely on proprietary, premium-priced SSD modules, Tempo SSD Pro Plus uses standard 2.5" SATA drives that you choose. You get to select from the widest variety of competitively priced SSDs, and buy the ones that best suit your capacity and performance needs while working within your budget. Because 2.5" SSDs are readily available, you're not tied to one retailer or SSD manufacturer should you decide to upgrade to higher capacity, faster SSDs. Tempo SSD Pro Plus is a full-length, full-height card to which you can install two SSDs; if you've got the space and need great performance, this is the card for you. 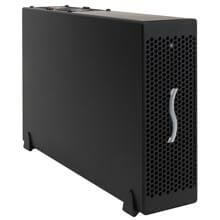 This Sonnet solution also supports OS X® and Windows RAID features. The card uses a fast 6Gb/s SATA controller chipset and PCIe 2.0 x4 interface to deliver read speeds up to 960 MB/s from a pair of SSDs configured as a RAID 0 set. AHCI compliance ensures installation of the card is simple—attach your SSDs with provided screws, mount the card in an available PCIe slot, and turn on your computer—the necessary drivers are installed automatically. Got a Thunderbolt connection, but no PCIe slot? 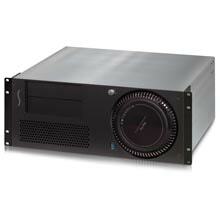 Tempo SSD Pro Plus is ideal for use in Sonnet's Echo™ Express III-D desktop or Echo Express III-R rackmount Thunderbolt 2-to-PCI Express® card expansion systems, the xMac Pro Server PCIe 2.0 expansion system/4U rackmount enclosure for new Mac Pro with Thunderbolt 2 ports, or the xMac™ mini Server PCIe 2.0 expansion system/1U rackmount enclosure for Mac mini with Thunderbolt port. Adding this card to any of these Thunderbolt expansion systems is a great way to add high-speed SSDs plus eSATA connectivity to your Mac® with Thunderbolt ports! Add High-Speed SSD Drives to Your Thunderbolt Equipped Mac—Install SSD drives onto a Tempo SSD Pro Plus and install the card into a Sonnet Echo Express III-D chassis for super fast access to all your data. The Tempo SATA Pro Plus supports hot-swapping of external drives under OS X, and supports booting from attached drives under OS X(1), and Windows(2) 8, 7, and Server 2012, 2008. It supports media readers with eSATA interfaces, such as the RED STATION REDMAG 1.8" and 2.5". Drive health monitoring is supported through S.M.A.R.T. data reporting. And, for a secure external connection, this card supports Sonnet's exclusive locking eSATA cables. Featuring two 6Gb/s eSATA ports, the Tempo SSD Pro Plus enables you to connect two external storage systems with eSATA interfaces for fast transfers between them or to improve performance by creating a RAID set. Single-drive enclosures let you easily back up data, move files from one computer to another, or take advantage of a fast SSD. 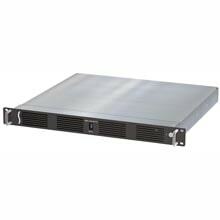 Many multi-drive storage systems include swappable drive trays, which are perfect for managing daily backups and multiple projects. 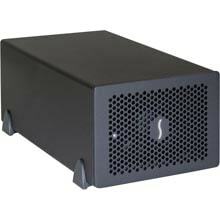 Some systems, such as Sonnet's Fusion QR, feature integrated hardware RAID controllers that manage up to four drives and enable you to create large, protected RAID volumes. Whether you connect single- or multi-drive systems, or a combination of both, Tempo SSD Pro Plus supports them at maximum performance levels. Your Outside Connection—Tempo SSD Pro Plus features two eSATA ports that enable you to connect external storage systems with eSATA interfaces, like Sonnet's Fusion QR. This card supports Sonnet's exclusive eSATA data cables with locking connectors (included with the Fusion QR) that provide secure connections at both ends.